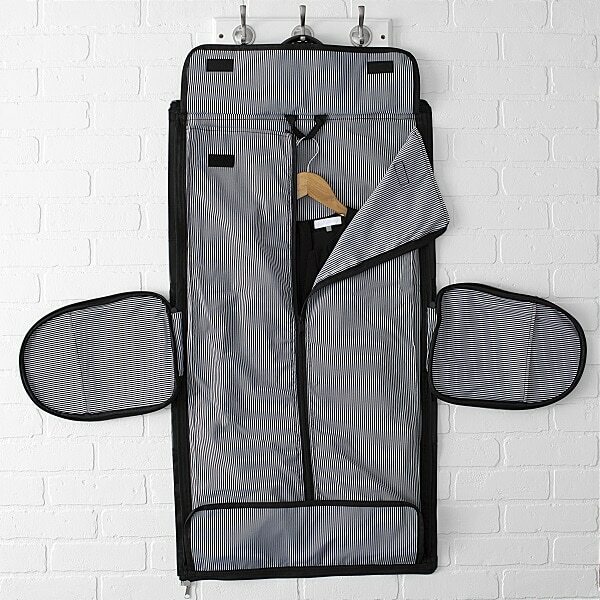 Give your bridesmaids the gift of adventure with the Jetsetter convertible garment bag. 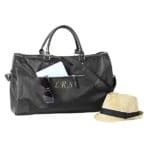 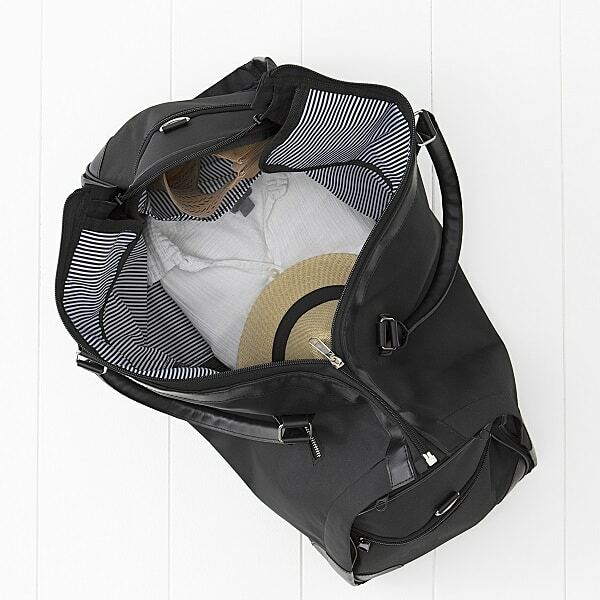 This oversized black duffle transforms into a full hanging garment bag in no time at all. 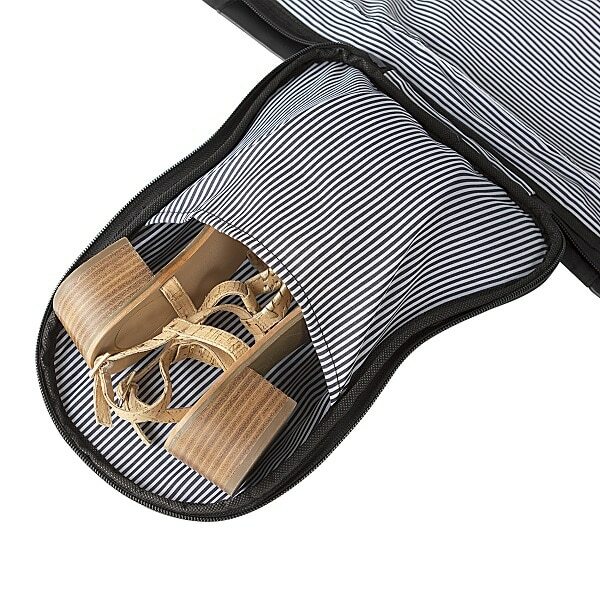 Great for business travel and out-of-town bridesmaids. 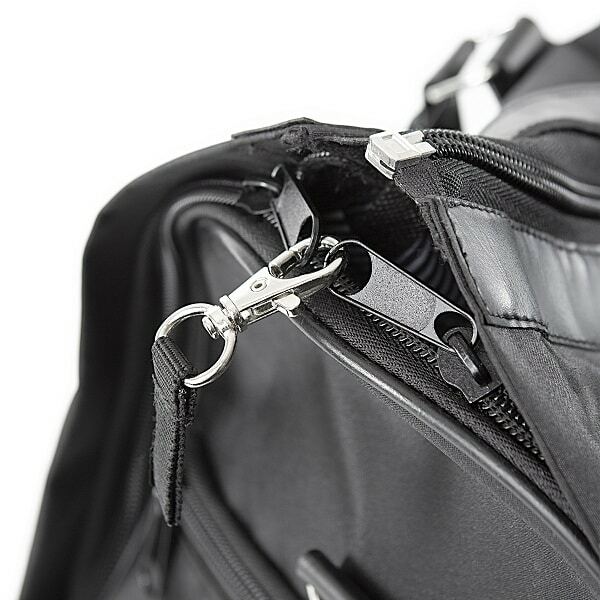 Scroll down for video of the bag in use. 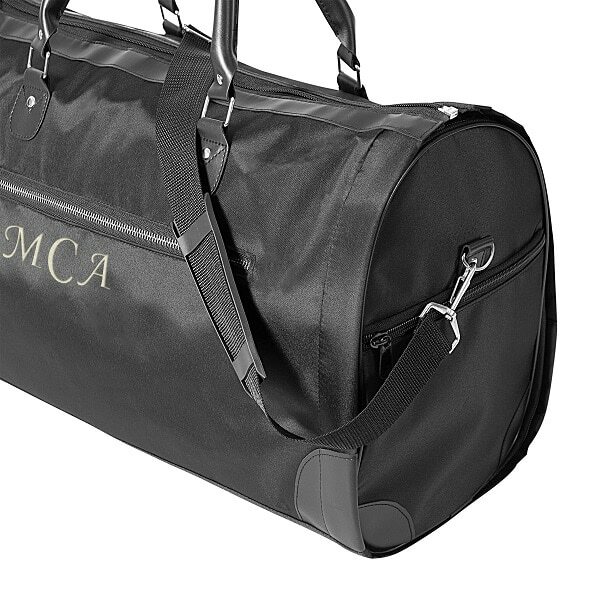 If your girls love adventure as much as you do, our Personalized Women’s Convertible Garment Bag is the perfect gift for them. Our oversized duffle transforms into a full garment bag in no time at all, and includes a chic striped lining, hanging loop, and adjustable shoulder strap. 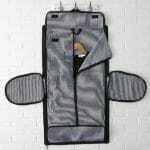 The gorgeous microfiber construction is chic and trendy, and most importantly, super easy to spot clean and air dry! 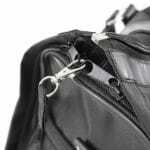 The outside of the bag also features three zippered pockets, while the inside includes open pockets for shoes. We will also embroider with a three character monogram at no additional cost to you! 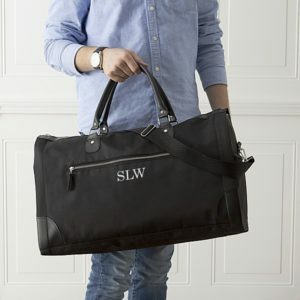 The bridal party (and even the groomsmen) will love this truly custom gift.